How Do I Sell my Security Business? When considering whether to sell your security business there are a lot of variables to consider. For instance, how much will your security business sell for? What are the costs of selling a business? Knowing what is the best process for selling your security business and who potential buyers are that may be interested in purchasing your security business is also vital. Some places will tell you that you have to take a large amount of time to get everything in order to sell your business. We will confidentially assist you in evaluating your business and getting your business fully ready for sale without an upfront cost. One of the first steps is to contact a top business broker that has experience selling businesses in the security industry and can provide you with a confidential consultation. Synergy Business Brokers has a database of over 24,000 potential buyers and we have a number of potential buyers for businesses that are interested in a wide variety of businesses within the security industry such as Home Security Monitoring, Security Guard Companies, Internet Security, Wireless Security, Cybersecurity, and more. Whether you want to sell a security monitoring company or you are interested in selling your security guard company we provide you with a customized approach. We will learn more about your business and develop a strategy to achieve your goals. We are also experienced in Mergers & Acquisitions. This allows us to not only assist in a business sale but it allows us to sell your security business and merge it with another. 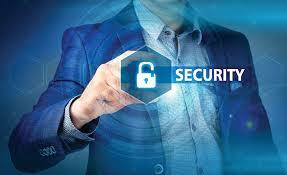 Merging your security business with another can be extremely beneficial because it ensures the survival of both. Our professionals have a large amount of experience in Professional M&A. Learning about your business will help us to give you a potential selling price for your security business. We will then market it directly to potential buyers. The first step is to review your financial information and determine what your total owner's net cash flow is. We will also look at the overall financial trends in your business to see whether your business is growing, going down or is stable. We have a large amount of experience selling security businesses that have net owner's cash flow (including salary, perks, and benefits) of $200,000 to $4Million+. A marketing document will be used to get people interested in your security business This will be designed to protect the confidentiality of your business. Potential buyers will need to sign a nondisclosure agreement and provide information about their qualifications before we provide information about your business. Normally, we speak with a number of potential buyers in order to get someone that is interested in making an offer on your business. The goal for us is to always to get multiple offers for your business, which would give us the best opportunity to get you the highest price for your security business. We have Brokers located in New York, Connecticut, New Jersey, and Massachusetts that can meet with you for a confidential consultation. Call us today at 888-750-5950, email us at info@synergybb.com, or fill out our contact form and start the journey of selling your security business today.